Ruth Jefferson is an African-American labor and delivery nurse at a Connecticut hospital with over 20 years of experience. She is shocked when a white supremacist couple refuses to let Ruth touch and care for their new-born baby. The hospital complies with their request, but when the baby stops breathing, Ruth is the only person in the room. Should she intervene or obey orders? Ruth hesitates before deciding her course of action and is consequently charged with a serious crime. This is an exciting, thought-provoking story with the court room drama moving at a steady pace. Picoult takes on the issue of racism partly inspired by the discrimination law suit in Michigan in 2012. Read about that here. At the heart of the story, is the question of power, privilege, race and compassion. It explores how racism can impede successes in society and the power that is attributed to people of lighter skin. The author tells the story from three perspectives. From Ruth, the African-American nurse, the public defender, Kennedy McQuarrie and the white supremacist father, Turk Bauer. The characters are richly layered and have depth and dimension. When I first started reading about Turk (the father), there was instant hate. But then Picoult tells us about his past and takes us on his journey with his wife. We come to know about events that transpired in his life and the reasons for his anger and hate. The relationship between Ruth and Kennedy is nicely explored as well. Over the course of the book, they develop trust and hope and come to terms with their own beliefs and convictions. One of the question this book brings to mind with Kennedy’s character, is that often we think we are not racists in the real sense of the word. We think we are open-minded, not prejudiced, and completely unbiased. Yet, some of the successes that white people have had, is because people of color have not had it. Picoult’s writing is as always engaging, and with every page, the story unfolds brilliantly. Writing a gripping court room scene is definitely her forte. This is one of Picoult’s well crafted novel’s and I would definitely recommend it. There has been some criticism for this book, claiming it was not Picoult’s story to tell and how she oversimplified a complex issue. The truth is that racism weighs heavily on so many hearts in our society. It is a moral dilemma and we need to expand our thoughts and conversations surrounding this. As always I’ll leave you from my favorite quotes from this book. “If I cannot do great things, I can do small things in a great way.” (Attributed to Martin Luther King). Incidentally this is where the title of the book also comes from. 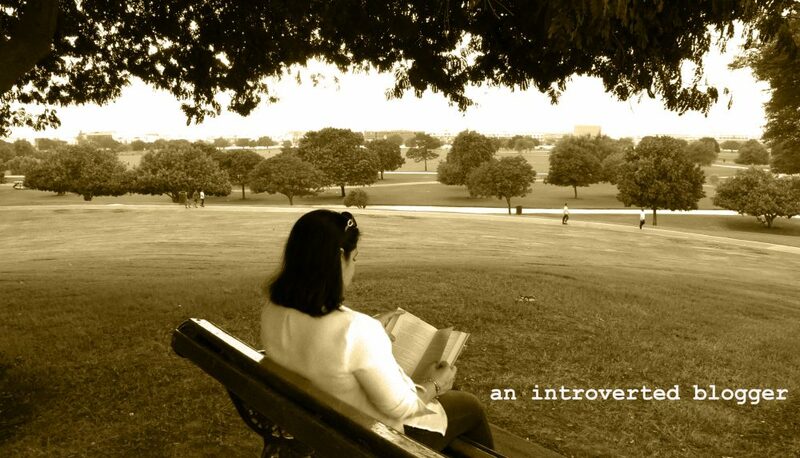 This entry was posted in Book Reviews and tagged an introverted blogger, author, best-seller, book, book blogger, book review, bookstagram, contemporary fiction, Jodi Picoult, New York Times, privelage, racism, review, Small great things by An Introverted blogger. Bookmark the permalink. This is a great review Nadia! I also really LOVED this book! This book really tackled racism in a way that makes you stop and think. I think it’s an important read in the world we live in right now! Thanks for stopping by Hollie! I am a fan of Jodu Picoult as a writer. My first book was The Pact, and I couldn’t put it down! I like how your reviews are short but are also able to convey comprehensive info about the book. Will try to get my hands on Picoult’s “Small Great Things” if I get the chance this year. Picoult is a great writer and this story sounds thought provoking and interesting. Wonderful review, thanks. Lovely review. I enjoyed “Small Great things” a lot, and I don’t believe Picoult told a story that wasn’t hers to tell. I think she did a brave thing because both sides need to raise awareness for things to change. And sadly, we live in a world where the word of a white person still weighs more.